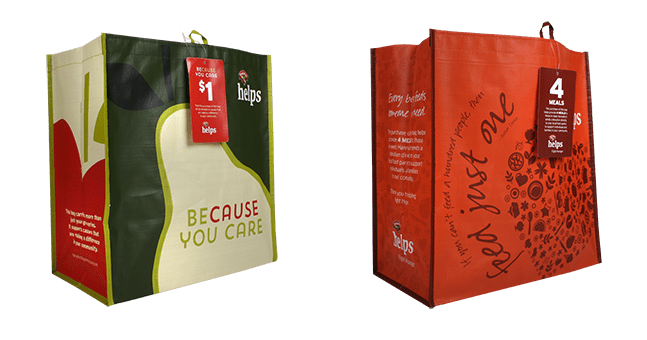 If you would like to submit a non-profit for consideration in the Hannaford Helps Reusable Bag Program, please review the guidelines and instructions below. Please note: Approval does not guarantee selection at the store level. If chosen, your organization will be notified directly 30 days in advance. A direct local connection to a specific Hannaford store. The commitment to put funds to use within the local Hannaford store’s community. Clearly focused in their stated mission to impact Hunger Relief, Education, Health & Wellness, Civic and Military/Veterans Organizations. or send an email to hannaford@bags4mycause.com.